Deciding what hat to make for a fantastic “Castle” fan was easy… One similar to that worn by Alexis. 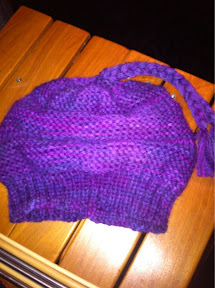 This hat is quite different in the end, but the same basic shape has been maintained. I used a merino-baby alpaca mix, and it is so soft, I wish I could only knit with this forever! Cast on 70 on the 4.5 needles. Change to the size 6mm. Complete the following as whole rows. Cut off yarn with 30 cms remaining. 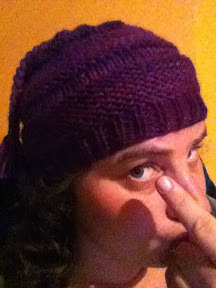 Slip stitches onto yarn and pull tight. Stitch up the side, and attach a tassel to the top. I am a tassel fan.